March 15th, 2009: Sunny, and up to about -4°C today; yesterday the temperature got up above freezing, so with the sun, the snow and ice are disappearing fast. Tomorrow is supposed to be above freezing again, so we will get rid of more ice around the condos. We braved -29°C temperatures and drove out to the Dakota Dunes Casino last Monday. To our surprise, we saw a bald eagle flying low and parallel to the road. I just caught a glimpse of it and alerted Doreen, who got a good look at it. Unmistakable. I have seen eagles in the southern part of the province in winter, feasting on road kill, but very rarely around Greenwater. There is always open water on the river here in Saskatoon so I assume they do a little fishing, catch the odd rabbit, and clean up a bit of road kill. That would indicate that eagles don’t migrate. We had a good time at the Casino, which wasn’t very busy. Doreen, Lucille and I went. The Casino gave us each ten dollars to gamble with; I lost mine very quickly but put in some of my own money and actually gained almost eight dollars. Doreen made a net profit of five cents, but Lucille had a good win. She bought us all lunch and still came out with a nice bundle of cash. Doreen loves to play the slots; I usually hate it, and Lucille enjoys it for a little while. This winter, we have occasionally gone out on a Monday, which is seniors’ day, after our walk at the Field House. We will play the machines for about an hour then have their smorg lunch, which costs us less than five dollars each. After lunch we gamble for another half hour or so, and then come home. Between the three of us, we have actually come out a little bit ahead on average, so it makes a pleasant and low-cost outing. 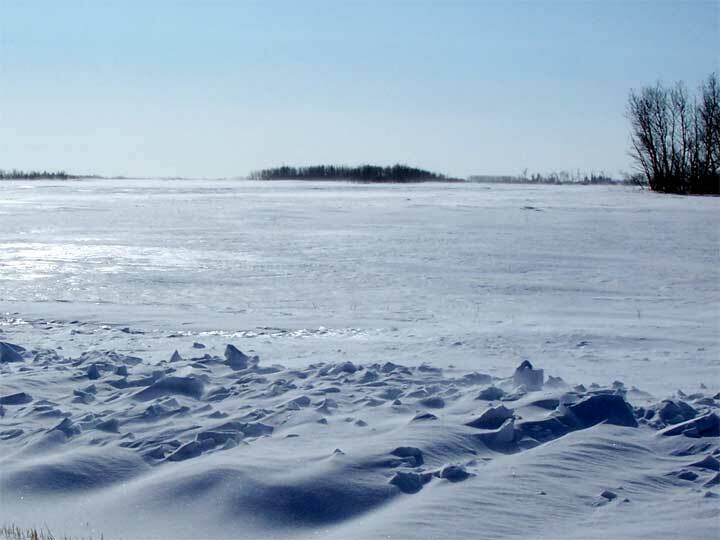 Saskatchewan broke a whole bunch of records for cold last Tuesday. It got down to -32°C here, and about -35°C in Regina. By Thursday it eased up, so I got the car washed. Good thing, too, just in time for the slop and slush the rest of the week. Last fall was so nice, into the first week of December, that everyone said it is going to be a short winter. Little did they know. Now, they are all whining that winter is never going to end. It has been a rough one, for sure. Life goes on as usual, with our three times a week exercising, kaffee klatches, and Saturday morning breakfasts. Lucille’s new knee has been giving her trouble so she hasn’t been able to walk for awhile. She still goes to the Field House, though, and puts in some time on the hand bikes. It is quite a social event, too. Lucille, of course, knows all the people in her Cardiac group, so always has someone to visit with; we know quite a few people, and are nodding acquaintances with many more. A friend from my Wednesday morning coffee group walks every Monday and he introduced me to some of his buddies. Two of them are ninety four, another is ninety one. All are very sharp, and walk without canes or walkers. One just had his license taken away, I’m not sure if it was at the behest of his family or his doctor, and he is feeling pretty lost. He rides to the Field House on the bus from away over on the west side; the other two still drive their own cars. I like to have coffee with them after exercising whenever possible. I was having breakfast this morning and reading the Sun and Express, two free publications that sometimes come Sunday mornings. I started sniffling and sneezing unmercifully, and thought I was coming down with a bad cold. It was bad enough that I went downstairs and lay down for an hour or so. I felt a little better after that. Doreen told me while she was reading those papers, her eyes got sore and runny, so we suspect an allergy to the ink, which apparently isn’t uncommon. Later on, she showed me some clippings from the papers, and I started to sneeze again. I went out for coffee in the afternoon and felt fine. The daily paper, the Star Phoenix, doesn’t seem to bother us at all, so maybe we’re going to have to keep those other papers out of the house. Yesterday was our 56th anniversary; it’s been a great run and we’re hoping for a lot more. At suppertime, Doreen was busy with her crafts, so I made supper – peanut butter and banana sandwiches, pie, and a glass of wine. I expended all my culinary talents in one fell swoop. Doreen was suitably impressed, but I hope she doesn’t expect it every year.